Our ongoing research indicates that our after-school environment is a prime laboratory that positions us a parallel organization where we experiment with educational strategies to optimally enhance the social, cognitive, and academic development of low-income learners from minority communities. Children learn best on computer-mediated activities in a collaborative learning environment. Students thrive when technology based activities are not simply “skill and drill” but challenge them to engage in critical thinking processes. The mixing of education and play results in the occurrence of optimal learning. Academic partnerships with families, community, and business provide valuable educational advantages. Our research shows that 90% of past program participants interviewed are either in college or have already graduated in a broad spectrum of majors such as Accounting, Business, Landscape Architecture, Criminal Justice, and Computer Science. Findings also indicate that our program participants out-perform their non-participant counterparts within their same neighborhoods and schools on the CA STAR standardized tests. More than 75% of past participants interviewed declared that CASA Program La Clase Mágica impacted in a significant way their self-esteem to express themselves in educational or professional setting. Vásquez, Olga A. (2013) "Https://sites.google.com/site/podiversity/nagoyaworkshop/genkou." Power of Diversity, Rikkyo University, Toshima-ku. N.p., n.d. Web. The following publications and presentations illustrate our CASA Programs evidence of success in detail. Relaño Pastor, Ana M. (2014). 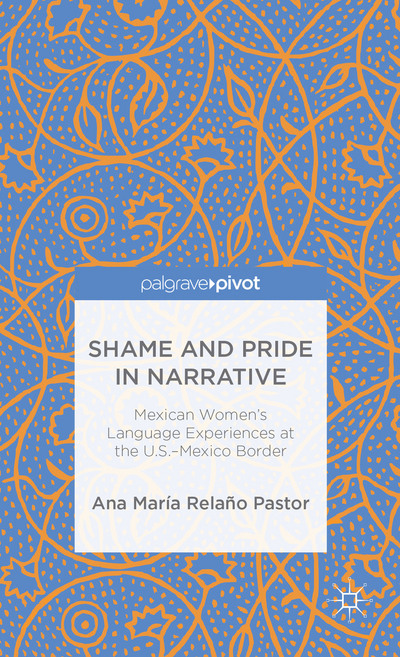 "Mexicanas at La Clase Mágica" in Shame and Pride in Narrative: Mexican Women's Language Experiences at the U.S.-Mexico Border. Palgrave Macmillan. Vásquez, Olga A., Ellen Riojas Clark, and Belinda Bustos Flores, eds. (2014) Generating Transworld Pedagogy: Reimagining La Clase Mágica. Lanham: Lexington. Vásquez, O. A. (2007). “Technology Out of School: What Schools Can Learn From Community-based Technology,” in L Smolin, K Lawless & N. C. Burbules (Ed.s) The 106 Yearbook of the National Society for the Study of Education (NSSE): Information and Communication Technologies: Considerations of Current Practice for Teachers and Teacher Educators. Vol.106: pp.182-206. Huang, S., Vásquez, O.A. (2006), “Assessing Lil’ Champs: A Focused Approach to Cross-school Comparison” Unpublished manuscript. Martínez, M., & Vásquez, O. A. (2006). Sustainability: La Clase Mágica beyond its boundaries. Unpublished manuscript. Pastor-Relaño, A. M. & Vásquez, O. A. (2005). Accountability of the informal: challenges and new directions. Unpublished manuscript. Vásquez, O.A., and Durán, R. (2000). La Clase Mágica and Club Proteo: Mulitiple literacies in new community institutions. In M. Gallego and S. Hollingsworth (Eds. ), What Counts as Literacy: Challenging the School Standard. New York: Teachers College Press. Vásquez, O. A. and Duran, Richard, "La Clase Mágica and Club Proteo: Mulitiple Literacies in New Community Institutions," in Gallego and Hollingsworth (Eds. ), Challenging a Single Standard: Perspective on Multiple Literacies. (Teachers College Press, N.Y.) 1999. Vásquez, O.A., "Negociando identidad en un medio bilingüe" ("Negotiating identity in bilingual setting"). In Morphé: Ciencias del Lenguaje, Julio 96-Junio97, No. 15/16. 1998. Vásquez, O.A., "A Model System of Institutional Linkages: Transforming the Educational Pipeline." In A. Hurtado, R. Figueroa, E. Garcia (Eds. ), Strategic Interventions in Education: Expanding the Latina/Latino Pipeline. University of California, Santa Cruz: Santa Cruz, CA. (pp. 137-166). 1996. Gallego, M.A. (1995). Community-based school reform: [Service] Learning lessons from La Clase Mágica for teacher education. Journal of the Michigan-Ohio association of teacher educators: 18-22. Vásquez, O.A. (1994). The Magic of La Clase Mágica: Enhancing the learning potential of bilingual children. The Australian journal of language and literacy, 17(2): 120-128. Vásquez, O.A., Relaño Pastor, “La Clase Mágica Impact Study” Unpublished manuscript. Andre, T. and Melton S. "Separate Stories of Shared Spaces: Linking Histories of Solana Beach" Department of Communication UC San Diego.